Bought in Devon, looks like a Dartington mark with one I don’t know. 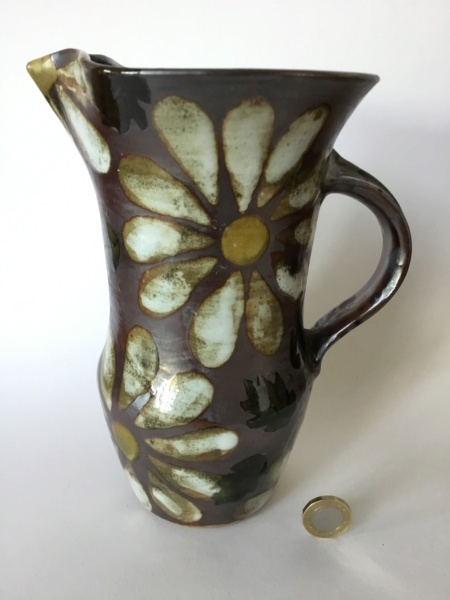 8” stoneware jug, daisy and oak leaf flowers, very French shape with wide neck and pointed spout. Great, what’s the other mark ? 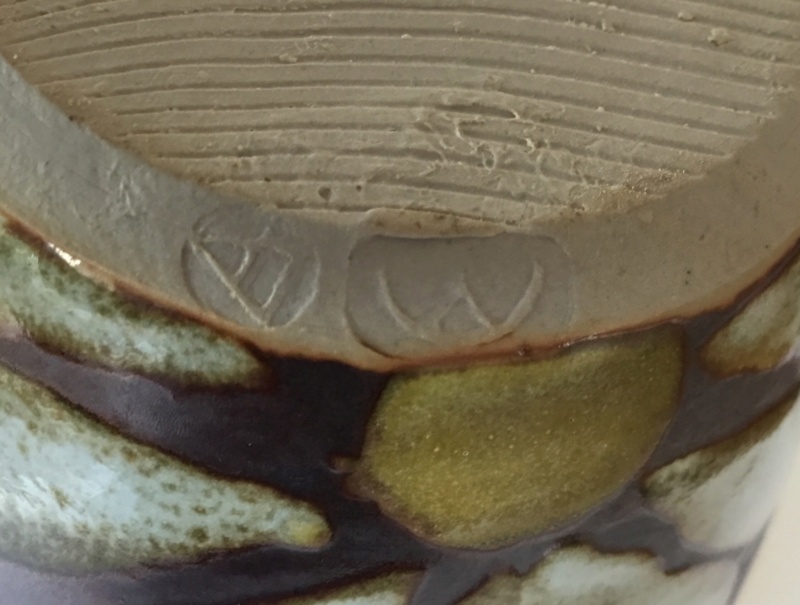 Is it a particular Potter’s mark. 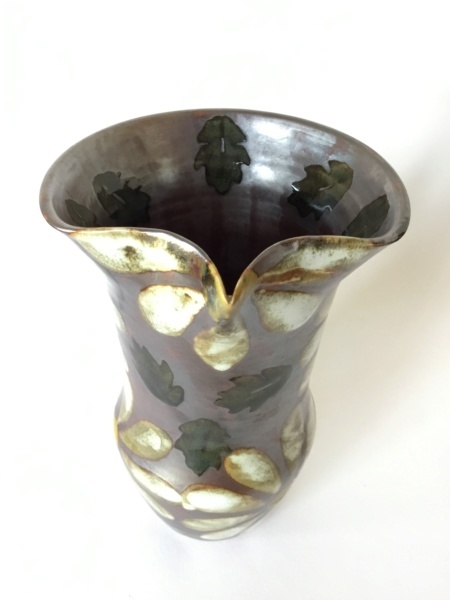 Any idea what the pattern is called? Isn't it an M NaomiM? It’s a half circle and V maybe. The decoration reminds me of Marianne De Trey. philpot wrote: The decoration reminds me of Marianne De Trey. she was at Dartington so maybe it was a nod to her?